Kenya (MNN) — Being content is a virtue, but not when we’re living a life that is less than what God has planned for us. This story, brought to us by missionaries with World Gospel Mission, is about answering God’s call to minister, even when it’s a surprise. Even when it means giving up what is comfortable. Angela Many and her husband, Heath, were living a life that, at a glance, could be described as ideal. They met and got married in medical school — Heath is a general surgeon and Angela an OBGYN. Angela Many shares their story of how God called them from a life of normalcy into something much more profound. The Manys (Photo courtesy of World Gospel Mission). In 2014, they sold their house, left their practices and moved to Kenya. Why, you might be wondering? 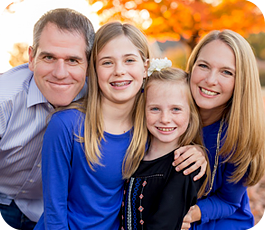 Many says neither she nor her husband grew up with dreams of being a missionary overseas. And yet, at this point in their life, God was calling them to do just that. After nine years of running private practices in the United States, the Manys felt that something was not right. “It began more through the Holy Spirit kind of causing us to be increasingly uncomfortable with our very comfortable American lives,” Many explains. So, for two years, the couple worked to discern what God was asking of them. The church they were at was very mission-focused. But on top of that, God sent people into their lives who inspired and challenged them. When they couldn’t answer that in a satisfactory way, they started looking for ways they could apply their gifts to Kingdom work in a way that would glorify Christ. Neither of them had seminary training. They had no preaching experience. Even so, God brought them to a place where they could put their unique skills to work. Tenwek Hospital is a joint ministry between World Gospel Mission and Africa Gospel Church. After three years there, the Many family is back in the states on their first home ministry assignment. They’ll be returning in just over a month to the work that has brought fulfillment and an abundance of blessing. We’ll be sharing some more stories from Tenwek Hospital in days to come. 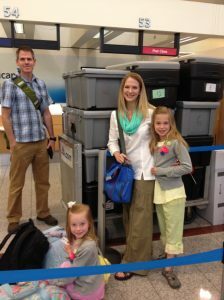 But for now, can you please pray for the Manys as they prepare to head back to Kenya? Ask God to give them a smooth transition, and pray for strength, perseverance, and continued guidance in their lives. To keep up with their journey in Kenya, or to help financially, visit their missionary profile, here.